USA – San Luis Obispo - A weeklong archaeological dig in downtown San Luis Obispo has unearthed artifacts that give a glimpse into life during the city’s mission and Chinatown eras. The dig was conducted last week in the 800 block of Palm Street as part of the Chinatown development project. It is likely to be a preview of more archaeological discoveries that will be made as the development progresses. Unearthed were a layer of artifacts dating from the Chinatown era of the 1860s to 1890s as well as building remnants and artifacts from the mission era of 1772 to the 1820s, including Chumash Indian middens, said Erin Enright, field supervisor for the dig. Mission-era artifacts recovered included flooring and possible wall foundations as well as a layer of roof tiles called tejas. Grinding pestles, marine shells, animal bones, fish bones and beads the Chumash used to make necklaces were also found. Historical trash heaps, called middens, are a valuable source of clues about how people lived, what they ate and the work they did. A variety of Chinatown artifacts were also discovered including fragments of ceramic bowls with Chinese markings, small drinking cups, opium vials, rings and distinctive Chinese metal coins with square holes in them. These artifacts are consistent with Chinatown artifacts uncovered when the Palm Street parking structure was built across the street, Enright said. The artifacts are being analyzed by various specialists and a written report on the findings will be prepared. The report should be available a year from now. INDE – Chhattisgarh - A recent archaeological survey has led to significant discovery of rare megalithic sites in two districts of Chhattisgarh establishing signs of prehistoric settlements in the area. “We have found more than 200 megalithic sites in the districts of Dhamtari and Mahasamund during a megalithic survey recently. Many of them can be classified as rare megalithic sites. Monuments erected in these sites are found to be 10 ft-12 ft tall. In normal megalithic culture, monuments measuring no more than 4 ft have been recorded so far”, Atul Kumar Pradhan, the archaeologist working under Chhattisgarh government’s culture department revealed. In archaeology, megalithic monument denotes construction involving one or several roughly hewn stone slabs of great size. It is usually of prehistoric antiquity, erected for funerary or religious purposes. Signs of megalithic culture have been found in Europe and Asia. In India, megalithic culture is traced back to Iron Age, the last phase of prehistoric period. Two types of megalithic sites have been recorded so far- habitation sites, built for religious purposes, and burial sites, erected in memory of dead. 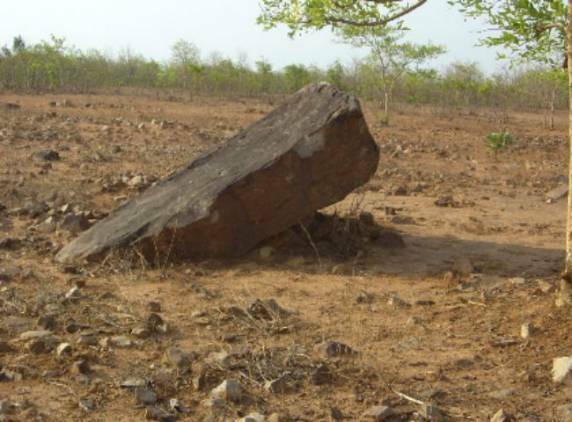 The latest archaeological survey in Chhattisgarh has found megalithic sites in Bisrampur, Sanoli and Dargahan in Dhamtari district and Baratia Bhata in Mahasamund district. The exploration has yielded megalithic monuments in form of menhirs ( a tall upright stone of a kind erected in prehistoric time as a memorial or a monument), cap stones (resembling a cap hanging on a vertical structure) and cairn circle ( a huge stone encircled by stones). The menhirs are 10ft- 12 ft in height. ROYAUME UNI – Oxford - A project uncovering the history of Blackbird Leys had a successful first day yesterday. More than 20 volunteers started digging at a site near the Kassam Stadium as part of the East Oxford Archaeology Project (Archeox). Over the next five weeks they hope to uncover details of a 12th century priory at the Minchery Farm Paddock. Project manager Jane Harrison said: “We’ve found bits of medieval pottery, floor tiles and building remains, showing where walls were. 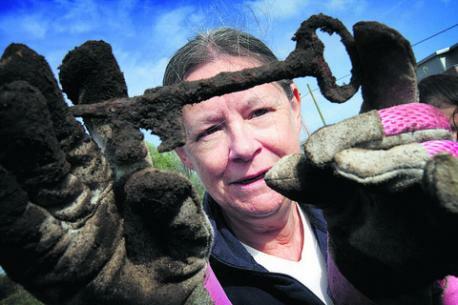 We are hoping to find more interesting things over the next few weeks.”The four-year initiative, which has been funded by the Heritage Lottery Fund and Oxford University’s John Fell Fund, has been busy excavating across East Oxford and in Rose Hill, Blackbird Leys and Littlemore since early 2011. ROYAUME UNI – Oxford - The finds of a pioneering Victorian archaeologist are to be studied for the first time at an Oxford Museum. 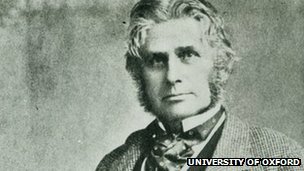 General Augustus Pitt-Rivers unearthed prehistoric, Roman and medieval objects around the UK in the 1860s and 70s. The objects come from more than 50 sites across the UK including Caesar's Camp castle in Folkstone, Kent, Bronze Age barrows in Yorkshire and Iron Age hill forts in Sussex. The "Excavating Pitt Rivers" project will collaborate with local archaeologists in the places they were excavated. Pitt Rivers Museum was founded in 1884 with 18,000 objects donated by the general which he amassed during his military career. 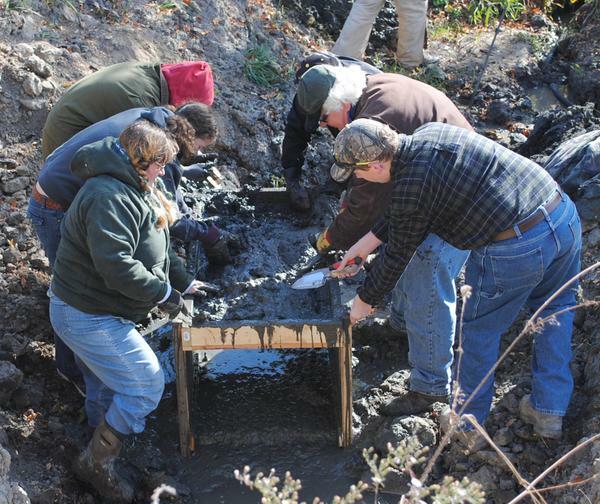 USA – Oskaloosa - Scientists and volunteers got their hands dirty this weekend at the mammoth dig site in rural Mahaska County. “We’ve found some interesting artifacts, so we’re screening,” North said. “We started out looking for large bones and we’re finding small ones.” Horgen said mammoth expert Chris Widga from the Illinois State Museum has studied a mammoth tooth found at the dig site and identified one of the two mammoths unearthed at the site as a woolly mammoth. The identify of the second mammoth is undetermined, she said.